The most significant programme of the Foundation Talent Assistance Scheme (TAS) is directed with the aim of providing financial support in the form of an interest-free loan to financially disadvantaged but meritorious students, mostly from rural areas. The scheme is significant in that it facilitates the underprivileged talents to fulfill their cherished dream of continuing their education further after completing the SSC level. Every year 60 students, 30 girls, and 30 boys, from the level of HSC first year are offered the award of an interest-free loan. The assistance continues until the completion of their graduation/post graduation degree without any break. A total of 1080 students have so far been enrolled as a member of TAS under 30 batches, covering the period from 1985 to 2013. Earlier the project has belonged to now-defunct BCCI Foundation. It was carried over to HDF after its reestablishment in 1994. Each student, irrespective of academic group, receives an interest-free loan of Tk.950/- per month at the HSC level. Undergraduate students of general disciplines get Tk.1400/- per month, while those studying in technical disciplines (i.e. Medical, Engineering, Agriculture) get Tk.1500/- per month each. At the post graduation level, the interest-free loan is offered only to students who obtain a first class or Grade-A in their Hons. degree from general disciplines. Students belong to technical disciplines and Business Studies are not provided with an interest-free loan at the Master degree level. Every year we publish an advertisement in leading national & local dailies inviting applications from the recently SSC passed-out students. Interested students having requisite GPA marks are asked over to collect a prescribed application form and submit it along with supporting documents within the specified date. The prescribed form can be collected directly from the office of the Foundation or by post or one can download it from the official website of the Foundation. After preliminary scrutiny of the received applications, we invite selected students to appear before a written test & interview. From the appeared students, we then finally select 30 girls and 30 boys based on marks obtained in preliminary selection, written test & interview and enroll them under TAS through an orientation programme. 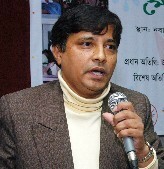 1 Dr. Abul Hasan Muhammad Bashar 01 MBBS, Dhaka Medical College; PhD., Hamamatsu University School of Medicine, Japan. PhD., Hamamatsu University School of Medicine, Japan. Registrar, National Institute of Cardio-Vascular Diseases, Dhaka. Former Visiting Professor, Hamamatsu University School of Medicine, Japan. 2 Dr. Md. Shah Amran 2 MSc., Pharmacy, University of Dhaka. PhD., Yamanashi University, Japan. 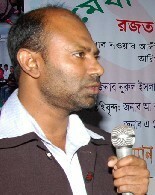 Professor, Department of Pharmacy, University of Dhaka. 23/6, Block-B, Bir Uttam A.N.M Nuruzzaman Road, Shyamoli, Dhaka-1207.